J. Sanchez (Born 1954) is an American artist known for abstract paintings. He’s one of the most important Puerto Rican cultural figures to emerge in the late 20th century. Sanchez was born in Brooklyn, New York, to Puerto Rican parents. 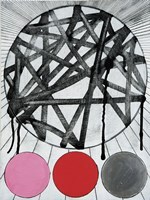 His works include mixed media works, paintings and photography. His pieces of art are held in the collection of the Whitney Museum of American Art, the Metropolitan Museum of Art, and the Museum of Modern Art, among others. The artist is part of a generation of artists including Guillermo Gómez-Peña, Coco Fusco, Papo Colo and Pepón Osorio, all of whom, in the 1980s and 1990s, explored questions of national, racial and ethnic identity in their work, whether it is through video, painting, installation or performance. 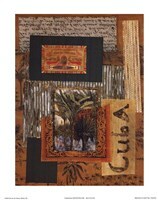 He specifically became known for producing mixed media canvases which are brightly hued and that addressed issues of lives of Puerto Ricans in the United States and on the island. He’s actually a professor of combined media, photography and painting at Hunter College in New York City. His work teaches his viewers new ways of seeing what surrounds them. The artist combines photography and painting with other found objects and media clippings to confront political policies of America and social practices concerning Puerto Rico, his parents' homeland. He often specifically addresses the battle for independence in Puerto Rico and the numerous obstacles facing Puerto Ricans who are disadvantaged in America. He has exhibited in various locations including Bernstein Gallery, Woodrow Wilson School of Public and International Affairs, Contemporary Art Center, Long Island City, NY, and BronxMuseum of Art, Bronx, NY, to name but a few.